MANILA—Fortitude was the main message of Bishop Teodoro Bacani, D.D., bishop-emeritus of Novaliches, during the fiesta Mass at the San Sebastian Basilica in honor of St. Sebastian last January 20, 2019. His homily focused on following the example of St. Sebastian who had undauntedly stood up for the Christian faith. 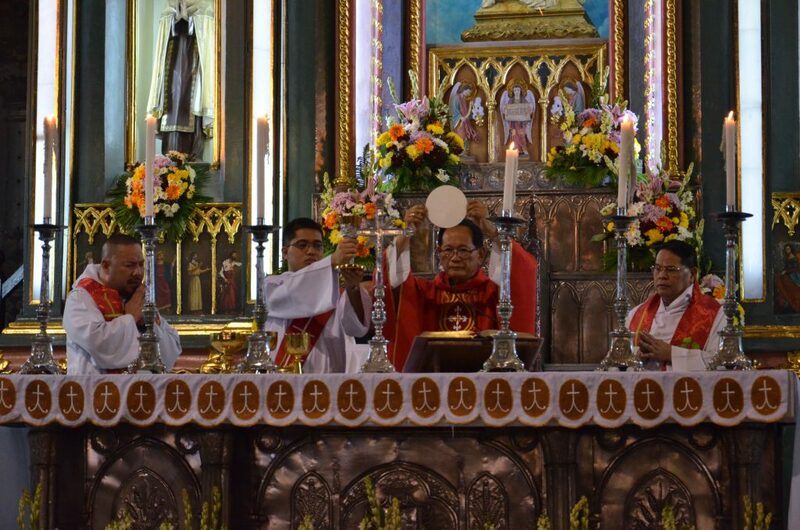 Preaching inside Asia’s all-steel basilica, the prelate laid out before the faithful how the Christian faith is under attack. He forcefully emphasized that for God to be called “stupid” and for the most important dogma of Christianity—the dogma of the Blessed Trinity—to be called “silly” explicitly demonstrate an attack against the Christian Faith. It was in this context that he exhorted the faithful to be courageous and to defend the faith like St. Sebastian. Bishop Teodoro Bacani, D.D. 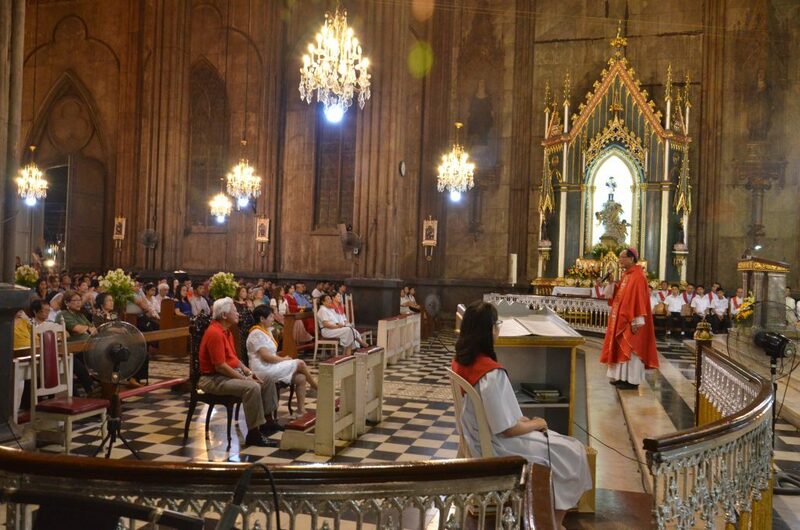 addressing the faithful of the parish of San Sebastian. He was referring to President Duterte’s tirade against the Catholic Church. Bishop Bacani also lamented the seeming esteem shown by a great number of Catholics who had faintheartedly clapped and laughed over the President’s unwitting imperative addressed to bystanders to rob and kill bishops. For this, he reminded the faithful of this common proverb: “The only thing necessary for the triumph of evil is for good men to do nothing.” Citing the example of St. Sebastian who stood against the civil leaders of his time, he exhorted the faithful to resist violence and lawlessness. Bishop Teodoro Bacani, D.D. 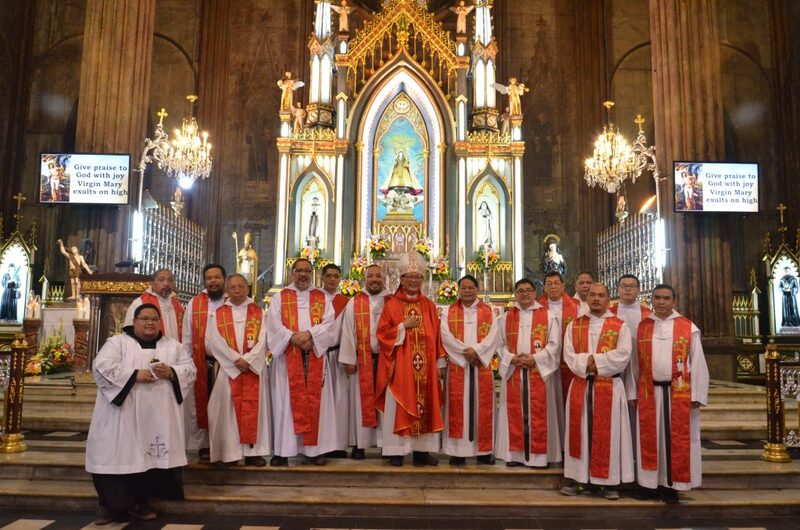 flanked by concelebrating priests on the feast day of St. Sebastian. For the bishop, the life and example of St. Sebastian who lived and died during the third century is still relevant, especially to Catholics, in the defense of their faith. Bishop Bacani highly recommended that those who venerate St. Sebastian should follow his life of fortitude for the sake of the faith.